Stand out from all the rest with this Lace swirl tri fold 5x7 invitation with Pocket and Envelope in White Shimmer. 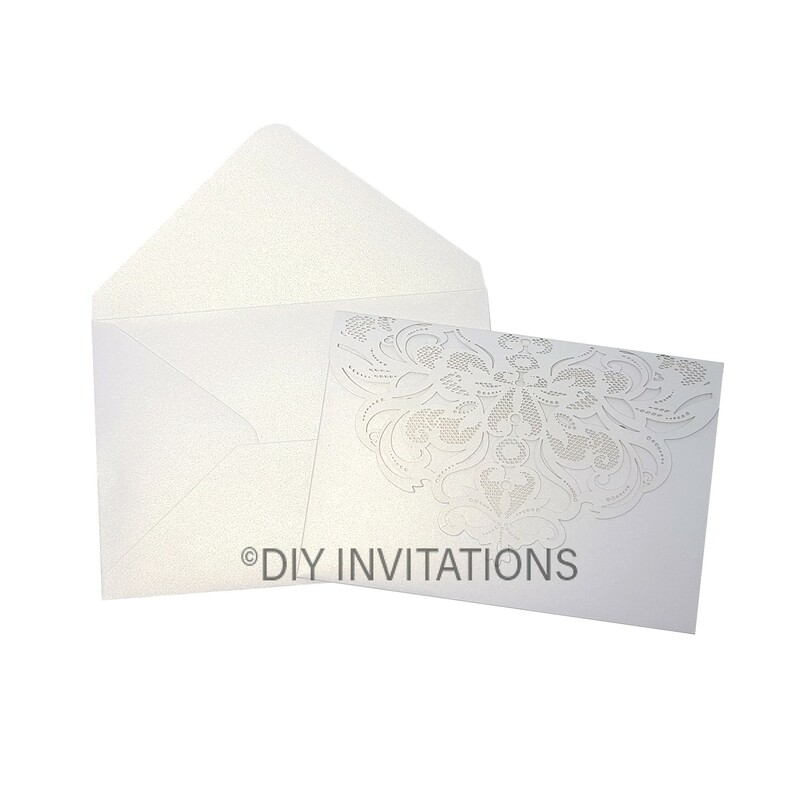 This laser cut invitation has a white shimmer finish to it, which shimmers stunningly where light hits it. Your hand made creation is sure to be a cherished as a keep sake your family and friends will adore. Our laser cut invitation measures 185mm x 127mm. Please Note: There may be a variance of 1-2mm depending on the production batch; this is not considered an error.